My Top Picks Best Electronic Keyboards for Beginners! Great Electronic Keyboards that are Perfect for Beginner Piano Students! Are you looking for the best piano keyboards for beginners? If you are a beginner keyboard or piano student and you are on a budget, the best thing for you is to buy an electronic keyboard. They are perfect for beginners because they are small, very portable, inexpensive (compared to a full-sized digital piano or a real piano) and they still sound great! I had it for about two years before I bought my first “real” acoustic piano. There are many kinds and sizes of electronic keyboards though and sometimes choosing the best one for you may be a little tricky….. I will help you choose your very first electronic keyboard! You are about to learn how to make music with your hands! 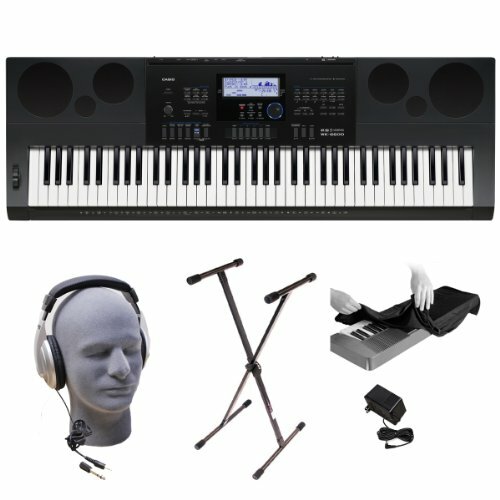 I am a piano/keyboard teacher for teens and adults and I will help you find the best keyboard for beginners out there! Aim for simplicity but good quality. The best keyboard for beginners will have at least 61 keys, (76 keys is even better!) and will have a great clear piano sound. Never mind hundreds and hundreds of sound effects. If you are serious about learning the piano, cool sound effects will do very little for you. 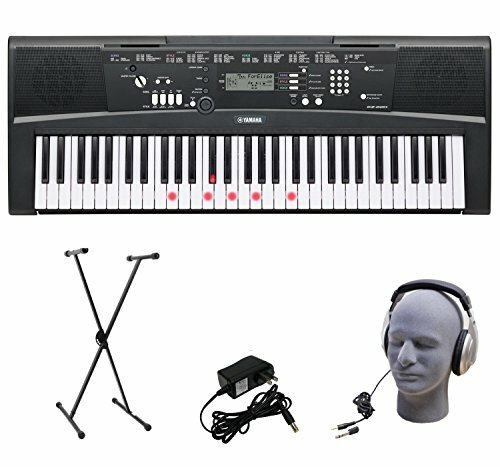 *The Yamaha keyboard you see above is one of the best rated affordable and portable Yamaha beginner keyboard packs out there! This beautiful portable grand Yamaha has 76 keys and a great stereo sound! Serious piano beginners will be able to use this piano keyboard for at least their first 3 or 4 years playing the piano and even when they become ‘pros’they can still use it to entertain friends and family members! Here you will find the best keyboards for beginners based on price, sound quality and effectiveness. Have fun learning how to play your new keyboard! 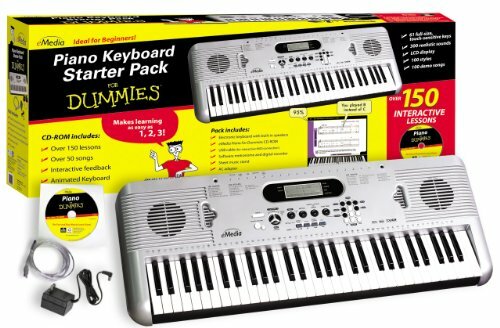 Very Cheap Electronic Keyboard Pack for Beginners! The greatest thing about an electronic keyboard when you are beginning your piano lessons is that you can practice anywhere! Happy buyers were blown away by the great sound! It is specially great for an older child or teenager beginner, because they can easily take it with them to recitals or their friend’s houses! For the first 3 to 4 years, 61 keys is enough! This cool lighted keyboard from Yamaha will have you playing songs from the very first day! Yamaha is one of the best keyboard and digital piano brands! 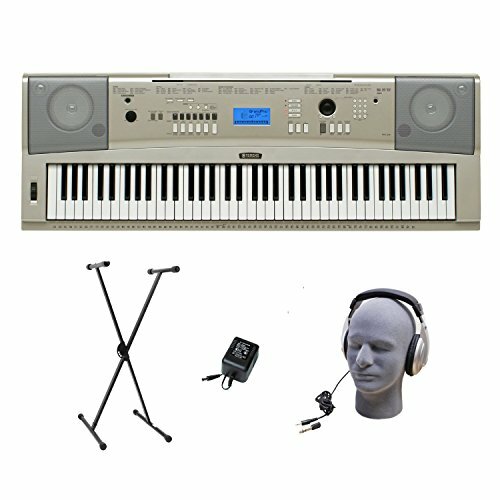 This beautiful Yamaha keyboard for beginners comes with the stand and headphones. It also has a very important feature when learning how to play the piano: touch response keys. It means that when you strike a key harder, the sound will be louder and if you strike a key softer, the sound will be soft and light. Choose a song from the 100 songs built-in to the keyboard, select if you’d like to play the left or right hand part and hit “Start”. This is one of the fastest ways to learn how to play the keyboard! Focus on one hand first and then the next. After you are really good at playing both hands separately and know where they are supposed to go and are familiar with the melody, then you will attempt to practice playing with both hands at the same time. The keyboard will light up the key that you’re supposed to play, and in fact, the song will actually stop and wait for you to find the correct key! Another Cool Lighted Keyboard Bundle for Cheap! 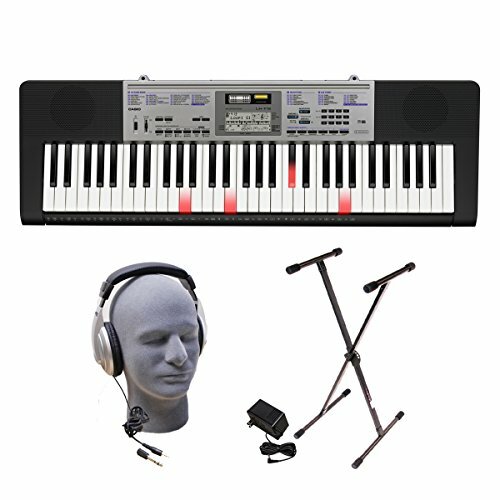 This Casio keyboard is an excellent option for beginners because it has at least 61 keys (which is enough for now…), it has a lighted keyboard, to show you exactly which notes you are pressing and the best of all, you get the stand and headphones too! It is a great piano keyboard for pre-teens as well, since they can have it in their bedroom and practice using the headphones! Makes an excellent gift idea for teenagers! What I most loved about it was the fact that I could take it with me everywhere to practice! This is another beautiful portable electronic keyboard for teen beginners! It also comes with grand piano tones, to enhance your playing experience. The piano sound is amazing! Great starter piano keyboard for older kids having lessons and teenagers! But the best news is the amazing price! It is very affordable and ideal for the adult or teen beginner. It teaches you how to play the piano ‘from scratch’. The box comes with a 61 key beginner keyboard and a complete piano tutorial, to guide you step by step on your musical journey. You just need to really want to play! Happy buyers are extremely pleased with their purchase! This keyboard for beginners make an awesome gift idea for any aspiring piano players in your family! Another great Casio keyboard for beginners! It has 61 keys that will light up when you play. Kids absolutely love this feature! This keyboard also offers two sensitivity levels, so students can learn how to play softer or stronger, according to the songs they are learning. The sounds are very realistic and high-quality! This keyboard is also very lightweight and perfect to take with you to your family or friend’s houses and show off your new piano skills! It also comes with a karaoke function! Great beginner keyboard for adults and children of all ages! Even older people, over 50 or 60 can start learning the piano with this cool Casio keyboard. 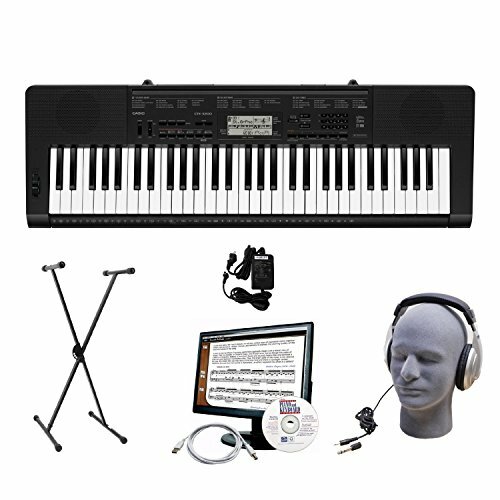 Casio Privia PX-160 88-Key: Awesome Digital Piano Bundle for a Teenager and Adult Beginner! 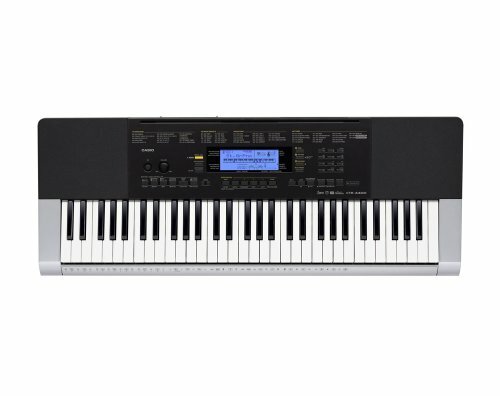 I also LOVE this Casio Privia keyboard for a teen or adult beginner because it is very portable, compact but it has a touch sensitive keyboard, which is an excellent feature to help students learn how to control the intensity of their playing from the very beginning! Keyboards for beginners need to be simple, fun and easy enough to use to keep students interested! This is an excellent Casio keyboard for the very beginner! It is perfect for children, adults or teenagers! Will definitely give them a more realistic ‘piano’ experience so when they transition to a real piano, they won’t feel so much difference. Even though this is a FULL SIZE digital piano, with all 88 keys, it is also extremely compact and will fit in most bedrooms! Teenagers specially love to play and practice in the privacy of their bedrooms. This makes a fantastic birthday gift idea for your teen musician! The sound is very powerful and clear. You can’t go wrong with a Casio Privia! 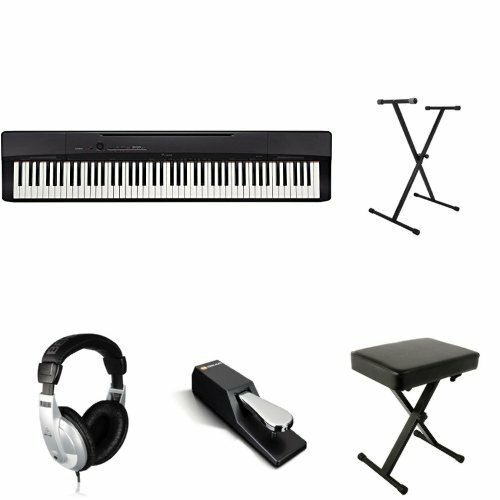 It also comes with the stand, sustain pedal, headphones and bench! 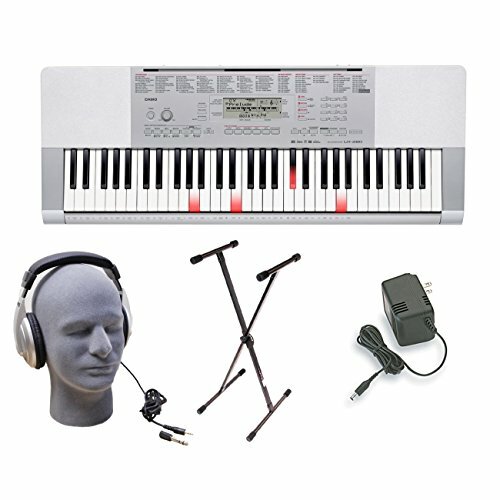 This Casio keyboard is also an excellent option for adult beginners, because it has 76 keys! Keyboards are a great option for the piano student on a budget, since most keyboards for beginners are very affordable. It also has 700 built-in tones and a tone editor, so teens can ‘create’ their very own original tones as well! One of the Cheapest Yamaha Digital Piano Keyboard for Beginner Students of All Ages! This is the ultimate keyboard for beginners! One of the best portable digital piano keyboards for the price! It is a full-sized digital piano, with 88 keys! It is the one I have in my house! I have been playing it for over 10 years now. It is very, very affordable and it will be the closest thing to a real piano you will get! The sound is absolutely beautiful! It is perfect for the serious piano student who knows he wants to play for the rest of his life. Since it has 88 keys already, you won’t need to switch later to a better keyboard. Great buy for the piano student on a budget! 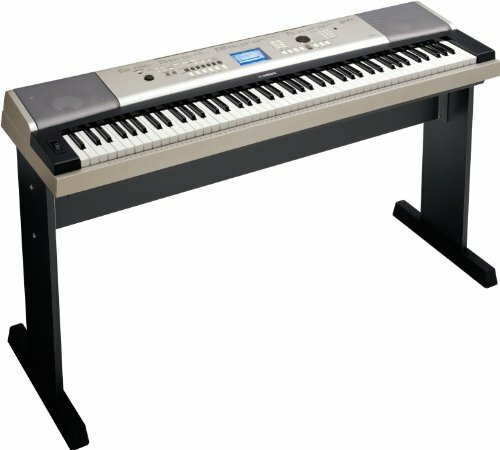 Another awesome Casio keyboard for beginners for cheap! It is also complete with headphones, keyboard stand and power supply! It also comes with a great eMedia piano tutorial software with 50 step-by step lessons! Excellent for a teen beginner! They can start practicing right away from their own bedroom! *How often should I practice the piano? In the beginning, I would recommend no more than 30 minutes a day. The reason for that is you want to build on your excitement and keep looking forward to your next piano practice! Try to set up a time every day for your practice and try to be by yourself. It is proven that our brains will retain information better if you practice only for 30 minutes. When you achieve your intermediate level and are able to play a few songs, than you can start playing from 45 minutes to 1 hour a day if you want. I wish you all the best in your new musical venture! It gets easier and easier every day! *Here are the best and most affordable digital pianos that look like a real piano!